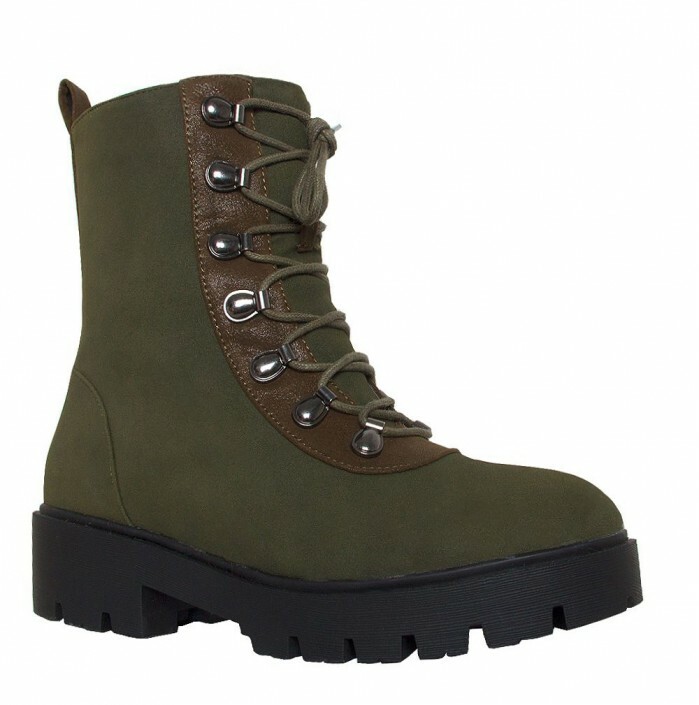 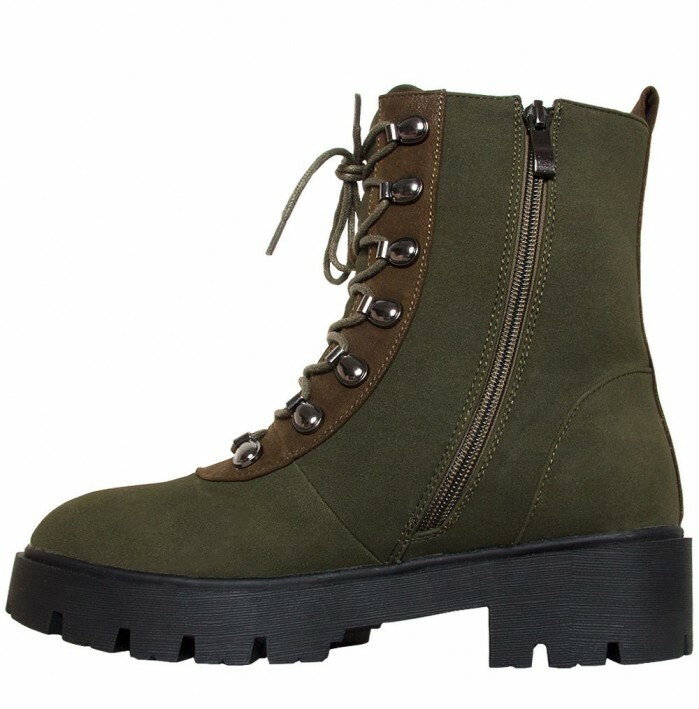 Get on this hiking boot trend this season. 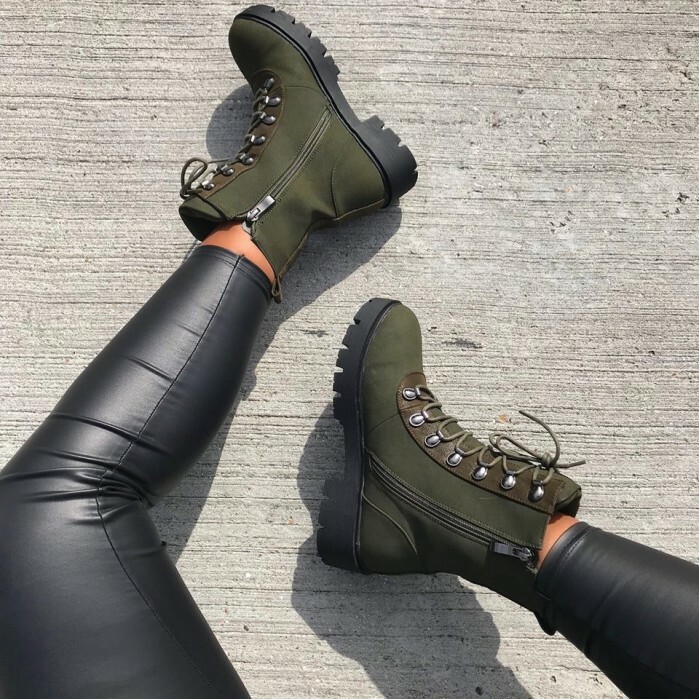 featuring lace up, inside zip, cleated sole and a block heel. 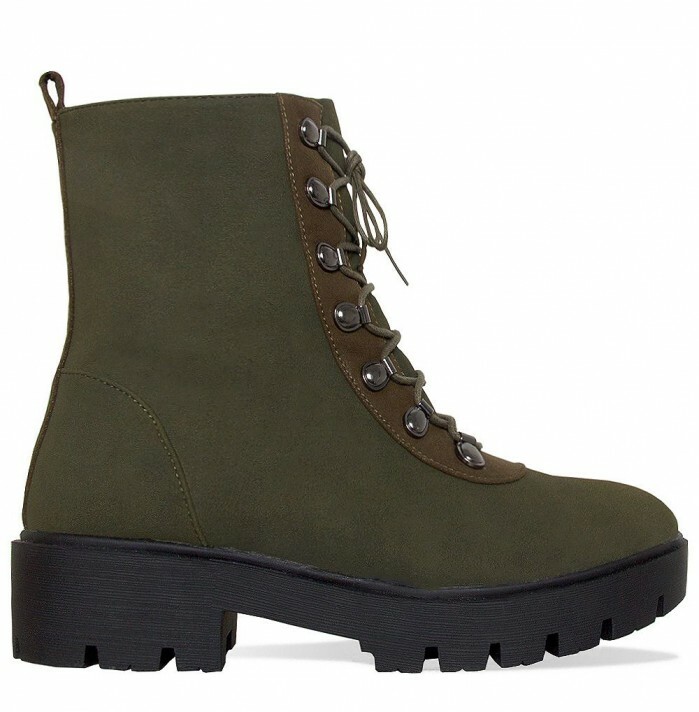 team them with cargo pants, crop top and checked shirt.